The McAllen Fire Department, Tacoma Fire Department, and the fire department from Gulf Shores, Alabama all competed in the 5 Alarm Firefighter Challenge on Good Morning America. Plus, two chimpanzees Vali and Surgriva went to see Dawn of the Planet of the Apes. The three finalists in the 5 Alarm Firefighter Challenge were live on Good Morning America. Whichever team wins the challenge will take home $10,000 courtesy of Disney’s new movie Planes: Fire & Rescue. Dan Abrams judged the challenge on July 15 2014. The teams had to put on their firefighting gear, go through the bucket brigade, find a kitten in the make believe forest tree, then lift your teammate and carry them to the ladder, who must then climb the ladder with the kitten and ring the bell. The competition was close, but Dan Abrams declared that the McAllen Fire Department won this round, and the Tacoma Fire Department took second, followed by Gulf Shores, Alabama. The teams will continue to compete over the next several days for the grand prize and title of champion. Paula Faris had the story of two-year-old chimpanzees Vali and Surgriva, who went to the movies recently to see Dawn of the Planet of the Apes in Myrtle Beach, South Carolina. Much like the primates in the film, these two chimpanzees are highly evolved. Vali and Surgriva purchased their own tickets for the film, and even paid for their own popcorn and juice. They then walked up the stairs, presented their tickets to the person collecting them, and were ready to watch the show. 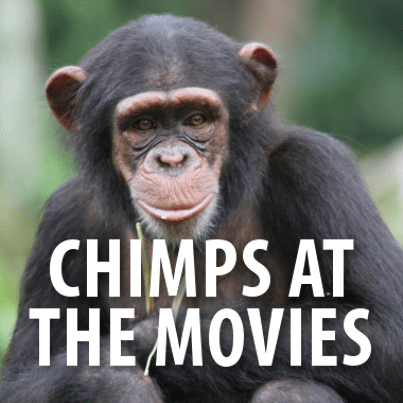 During the film, the two chimpanzees responded much like humans. Surgriva turned away from the film during a dramatic scene, and Vali clenched his companion’s hand during the film. The two also clapped for the good guys in the film, and barked at the bad guys. Some moviegoers were concerned, and many asked if the primates should really be watching a film about how to take over the world. Vali and Surgriva’s caregivers said that while the chimpanzees are very smart, a take over is highly unlikely.